S.K. 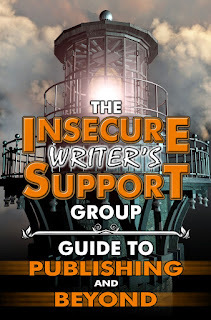 Mayhew, Kid Lit Writer : Insecure Writer's Support Group...Do You Put Up Walls? 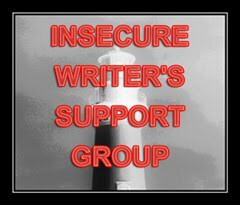 Insecure Writer's Support Group...Do You Put Up Walls? So..... on with my post! How many people know you are a writer? For a long time I was a closet writer, until I discovered one of my friends was a closet writer too. We both came out of the closet and started telling people we were writers. It's really scary at first. You know why, right? 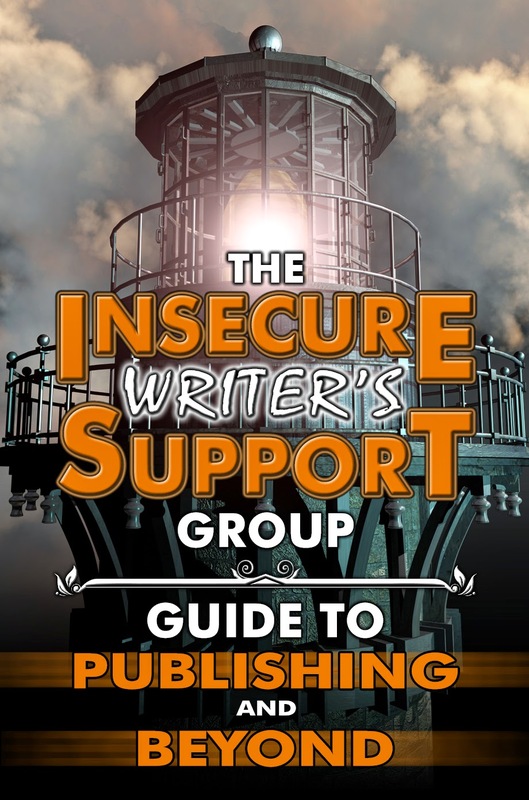 They are going to ask you the dreaded question... "So what books have you written?" Gulp! But you shouldn't gulp. Whether you have published a book or not you have written more than one I would suspect. So, answer fearlessly...."I have written 777 books (or however many you really have written) and now I'm working on editing, revising, and submitting them to agents and publishing houses." Do you see how strong that sounds? It takes a little of the scary away, I hope. Do you use walls to hide yourself? Would you rather be hidden inside your house creating new worlds than being outside experiencing this world? When you push yourself to get out of your comfort zone you will have more voice for your characters and more genuine experiences for them. Personally, I would have a hard time writing about a place unless I had been to it. Research is great, don't get me wrong. I research the places I write about, even if I have been there or know them well. I used to push myself to do things out of my comfort zone (helicopter ride over the Grand Canyon) to show my daughter I was capable of pushing myself. Now I do it because I know it makes me a better person and writer. So, don't hide behind a wall to keep safe, get out there and experience life! Sometimes walls are put up because you or your character have been hurt. Finding a way to open that wall and let people in with help both you or your character have a more full life. Walls are often put up to mark a territory. They show ownership and often wealth. When you are locking yourself or your character in a bubble of life, you or your character are getting a limited vision of the world. But they can be put up as a warning to other that danger is ahead if you continue on this path. Sadly, sometimes people ignore those warnings. Nature often provides us with walls. You know when you get that feeling in your gut that something feels wrong in a situation? That's Nature putting up a wall for you. It's up to you (or your character) whether you pay attention to the wall. Crumbling walls aren't always a bad thing. As things in your life or your character's life change you need to knock down some walls and experience new things. They could be good, they might not be, but the only way to grow is through moving forward. in search of new challenges. you'll walk down a public path, beside the wall of an old castle with the person you can let all your walls down with. And you'll learn from his wisdom that you must take chances to succeed. Thanks for stopping by today. My pictures are all from my trip to England last month. The gentleman at the end is my inspiration, my hero, and my grandfather. I'm more free to be me with him than with anyone else in the world. I hope every one of you have someone that you can have no walls with. Hello. I'm Gail and I'm a writer. Loved the pictures from your trip. And yes, we must pull down our walls not only as writers but to live fuller lives in general. Awesome pictures. I've always said you make your own reality. We construct walls without realizing we're doing it--to keep ourselves safe. It may time a lifetime to tear down some of them, but it's so worth the effort. What a great post! I loved the pictures and how you tied these walls to people. We all have walls, and like you mentioned, it's all in how we use them, build them and break them down. cool post and neat pics. we have a chunk of the berlin wall on one of our book shelves. my brother says its a good reminder that any wall can be torn down. Lenny, you and your brothers are the most amazing family ever. What a wonderful symbol to have in your home! It sounds like you had a wonderful trip! We do all have walls and I like how you related that to character growth and personal growth. How wonderful you got to visit your grandfather. 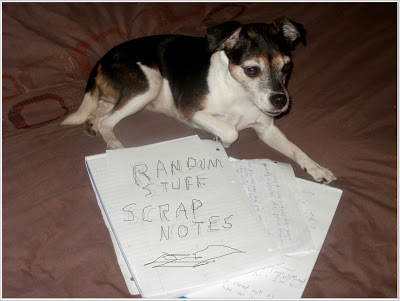 I kept my first book hidden from my husband for two month before he found out I was writing again. To my surprise, he really encouraged me and has been my hero ever since when it comes to my writing. Awesome you got to go to England and see your grandfather. Fantastic country. My only walls are those of privacy around my personal life. I promised my wife I would keep our world private. I love your pictures and how you used them to make your points. So great you got to spend that time with your grandfather. I belong to a couple of Facebook writer groups, and I cringe every time I see a writer post about writing in secret. "My co-workers don't know I write." Okay, I can maybe understand that. "My mother doesn't know I write." Ouch, that one's a little harder. But the one that breaks my heart most of all: "My husband doesn't know I write." THAT is a wall that needs to come down. My husband is my biggest supporter. (My mother is my second.) I don't know how anyone can do this without the support of family and friends. Love your pictures of walls! I do feel a wall rising when people ask about what I do or where my books are sold. I need to get more comfortable with this. Beautiful pictures and beautiful post! As much as I think I'd like to stay in my writing bubble and never have to leave to deal with real life, I totally agree that getting out to live life and push boundaries enriches our writing in a way nothing else can. It made me think... and yes, up until a few months ago, I didn't want to reveal my 'writerly status' to people. Now I'm learning to be more open about the fact that I'm a writer, and you know what I've discovered? People respond in the most unexpected, and often quite delightful ways! This is beautiful. I know I need to let down some walls, and you've given me some lovely pictures...and an idea... to plan to walk beside some gorgeous walls when I visit Ireland next month. I think in the end, that will help to me reduce the literal walls. Your photos are beautiful, as are your words. I'm glad you shared them with us. Love those walls. I was in the closet for a while and for just the reason you wrote about. I just didn't want to explain what I had or hadn't written or what I had or hadn't published. It was too hard. I'm out now! Glad you are too and glad you have such great times in England. Great post. I know I definitely put up walls. Mostly to protect myself. I used to be a closet writer, but not anymore. Though, whenever I tell people I'm a writer, they want me to write about their life story. Those are beautiful photos. Thank you for visiting my blog. It took me over a year before I even told my wife I was writing. Talk about putting up walls. BTW, I loved those pictures. I want to go visit England again. Beautiful country, filled with castles. what more could anyone want? Yeah, walls are all around me. Its solid high...not many people even know I have books out under a pen name! Thanks for sharing the pictures from your trip. So lovely you got to have that experience and to have someone like your grandfather! I definitely have walls I want to hide behind. I have several published books but prefer to hide in my home than get out in the public with them. Slightly better at getting out from behind my walls than a few years ago at least. It's odd, but when I started writing I told everyone who sat still long enough to listen that I was a writer; now that I'm more serious about myw riting, and have dug in for the long haul, I'm becoming a closet writer! Your words and pictures are lovely together. Your grandfather sounds wonderful! Glad you have each other!